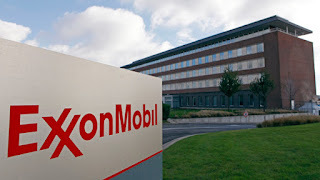 Earlier this month, Exxon Mobil (NYSE:XOM) reported Q4 2015 earnings which, as expected, looked ugly considering the large decline in the price of oil over the last one and a half years. Exxon Mobil has long been one of the largest repurchasers of shares, spending a net of $89.74B on share buybacks during the 2010 through 2015 period. However, during the Q4 earnings release, management stated that share buybacks were being halted, presumably to preserve cash. Due to the large negative stigma associated with a dividend cut, that wasn't a likely option or even necessary just yet. The balance sheet had already seen a significant deterioration, with total debt increasing over 150% between the end of fiscal year 2010 and the end of fiscal year 2015. Adding additional debt in order to cover both share buybacks and the dividend didn't make sense. That left door number three: stop the share buybacks. It's a quick and easy way to preserve cash and doesn't carry anywhere near the same weight in the eyes of shareholders as a dividend cut. Very interesting article... having cut my ownership of COP recently, the topic of dividend safety of the oil majors is quite important to me. Thanks for sharing! The oil field is pretty brutal right now both from the investment and employment side. I think XOM is the safest of them all and CVX is probably fine to get through 2016. BP can likely make it through but the question is how bad will the balance sheet look to get through it. Eventually they will reach the enough is enough point. BBL slashed their dividend this week and Shell has already announced they're keeping their dividend flat for the year. It's a prudent move but one I don't think I'd preannounce because it'll look even worse if they have to cut it later in the year. The oil crush has definitely made me rethink my desire to rely on oil or any commodity company for a significant amount of my dividends. I actually think that XOM will be fine unless we see these levels or lower until sometime into 2017. It's about the only O&G company I would invest in in the current environment and rely on their dividend. I'm a fan of COP, but I sold my position last year, I want to see they cut the dividend before buying in. I now the CEO wants to keep the dividend streak. It is just hard after they spin off phillip 66, the refinery business is what Buffett is after. I'm sure he and his super smart staff of statistian and actuary scientists did the model and found out that it wasn't sustainable if oil remain <$60 for a long period of time. That was when he dump all COP, XOM and NOV even at a loss. I'm still watching this stock, until they cut dividend, stock might get a little hit, then I'll buy in. Would love to the see the mid $60's low for XOM again but the share price has been very stubborn. Even rising on down oil days. That's says a lot about investor confidence in the company. Sad to see another leader in DGI start to waiver. It's no surprise with the state of the oil market but it does beg the question as to when the cut of the dividend will come if they're left with no other option down the line. I've strayed away from putting any position into an oil stock in the past few months because of this. Sounds like a situation where you're trying to catch a falling knife. You don't know if you'll grab the handle or the blade on the way down. Yeah I'd be pretty wary of investing too much into the O&G sector. I think it really depends on your own temperament and ability to purchase and then just kind of ignore it for the next couple years. If you can successfully do that I expect you'll be quite happy with the results but it's going to be a wild ride for the next 6 months at least. XOM should be fine until 2017 and wouldn't get to the point where they seriously need to consider it and that's if oil stays here or lower until then. If we get a rise in oil to $50 they should be fine. I'm curious to see what, if any, the raise is in I think it's April. They build themselves to crush the downturns and while CVX might give better dividend growth in the good times they tend to slow it down a lot more during the downturns. Meanwhile XOM is typically chugging along with 5-7% raises in the good and the bad times. Although I would expect a pretty meager raise this year because they can get away with it. Even if they freeze it no one is really going to be upset given the carnage so far in the O&G sector. Good article. I hope you are not one who immediately sells if they do cut it(I highly doubt it gets cut)? My general thoughts on when XOM would reach the point of needing to cut the dividend is if oil stays at the current levels or lower until sometime during 2017. At that point it would be on the table as a way to preserve cash but they have a solid balance sheet so they could likely last a bit longer if they truly wanted to keep it going. I don't necessarily sell if the dividend is cut but it largely depends on the company and the reason for the cut. Although the funny thing is I did sell pretty shortly after the KMI cut but that was largely due to tax loss harvesting and raising some cash for other needs at the time. I want to explore KMI further but I like the business growth model of self funding rather than just pursuing a debt/share issue fueled growth. Let's hope XOM stays the course... I think one part of information that is often overlooked is that directors / CEOs have a ton to lose if the dividend is cut. A lot of them earn a large portion of their income through dividends. It can be said the same of politicians, after all there is a reason the tax code is the way it is. I am sure the pressure will be felt, and XOM will look towards buybacks or new projects or other cost cutting measures to protect their ownership first. They definitely do have a lot to lose but I'm curious how much that goes into their thinking. Their first priority is to keep the business solvent and position it to rebound over the long term. In many cases the company would be put at risk in order to keep the dividend steady which doesn't make any sense. Hence the reason you're seeing so many cuts and likely many more to come out of the O&G sector. XOM actually suspended their buyback program which was the gist of the article and why it's a horrible time to do it. It's also the exact opposite of the strategy they used during 2008 when they accelerated the buybacks and bought back 7.5% of the shares outstanding in 2008 alone. Buybacks won't be happening because there just isn't the cash flow for them and the dividend and capex for the company. Unless they increase debt levels even more, which still are at some of the best levels in the sector, they won't be able to do too much other than ride out the storm. The other option is to pursue either mergers or acquisitions which I think will eventually come but you're not seeing fire sale prices yet so for now they're waiting. Indeed it is. BBL announced another cut to a big oil player although they're also getting hit on just about every front of their business. I think just about everyone of the commodities they mine/drill is sitting at lows so the dividend cut wasn't a surprise. I told myself a few months ago to wait until BBL's cut and then consider buying as more of a big rebound/speculative/future dividend play. But since I won't have any cash available I won't be exploring that for a while. It could be an option though now.